When it comes to soap, my husband and I keep it simple. We use bars of Ivory soap, always have, and probably always will. In the past, I've found it on sale at CVS for $1.00 for a 3-pack of soap. When there are $1 off coupons from the P&G newspaper insert, I buy as many as I can find, 4 at a time (because of the wording on P&G coupons). So we have plenty stored up in our personal care stockpile. My daughters don't like to use bars of soap when showering. They prefer body wash. So I look for deals on body wash at CVS, Walgreens, and Publix. I might pay 50¢ or $1.00 per bottle after coupons, sales, and drug store rewards programs. Once in a while I can find body wash for free. 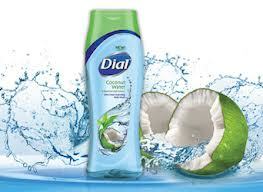 So when Dial asked me to try out their Dial Coconut Water Body Wash (for free! ), I definitely wanted to try it, as did my daughters! When I tried this hydrating body wash, I first noticed that it was a large bottle. I like that. Small bottles run out way too quickly - my kids probably use a little too much at a time. Then I noticed thick the body wash was.. Some body washes can be almost as thin as water. The Dial Coconut Water was nice and thick. I also liked that it was clear - no artificial colors! My daughters really loved the smell as well, though I don't think it caused them to stay in the shower any longer than before. (Whew!) They also mentioned how the body wash went on smoothly on their skins, washed off easily, and left their skin feeling very smooth. So overall, my daughters and I really enjoyed using Dial Coconut Water Body Wash. We'll definitely use it again, if I can find it on sale and I have coupons for it! Would you like to try Dial Coconut Water Body Wash? Find it at your local retailers. Learn more about it on Dial's Facebook page or at the Dial Soap website. Frugal Follies is hosting a giveaway for a Dial Coconut Water Body wash free product coupon! Three winners will be chosen. Here's the fine print on the coupon: Get a FREE bottle of New Dial Coconut Water Body Wash! Limit one coupon per purchase of specified item(s). Limit of 4 like coupons in same shopping trip. Coupon not valid with other coupons for the same item. Maximum value $4.19. Offer not subject to doubling. Expires 5/31/2013. To enter the giveaway, use the Rafflecopter below! The giveaway is open to US residents 18 and older. The giveaway ends on Thursday, April 4, 2013, at 11:59 pm EST. 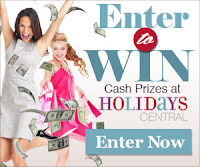 If you are one of the winners, Frugal Follies will contact you via the Rafflecopter email you have provided. If you do not respond within 48 hours, you will be ruled ineligible to win the prize, and another winner will be chosen. This promotion is in no way sponsored, endorsed or administered by, or associated with, Facebook. would love to try this and love coupons for free products!! I'd like to win because I'm really excited to try this coconut water wash! Because I use their body wash, and I love tropical scents! Thanks for the chance to win! I'd love to try this body wash! I'm thinking the scent alone would be worth trying it for, but I also like the fact that it's thick and clear. I love dial. My extended family uses it all the time. Big fan of Dial products. This seems like a great body wash to try. I think the scent would be wonderful and remind me of summertime which I can't wait for. Have not tried this scent, would love to try it! Would love to try this because I trust Dial products...and I bet this smells great! I would love to try it because i have heard about the benefits of coconut water! Would like to try this scent. I would like to win this giveaway! Cody Anderson - I'd like to win so I can try the new scent. I love dial products and tropical scents. This is a double plus. I like that it's thick so there would be less waste, and I hate when you rinse and still feel like there is soap scum left on your skin. I'd really like to try this. my daughter and I woyuld both love to smell like coconuts! I'd love to win because I love trying new body washes! i haven't trried this before and I would really like too.